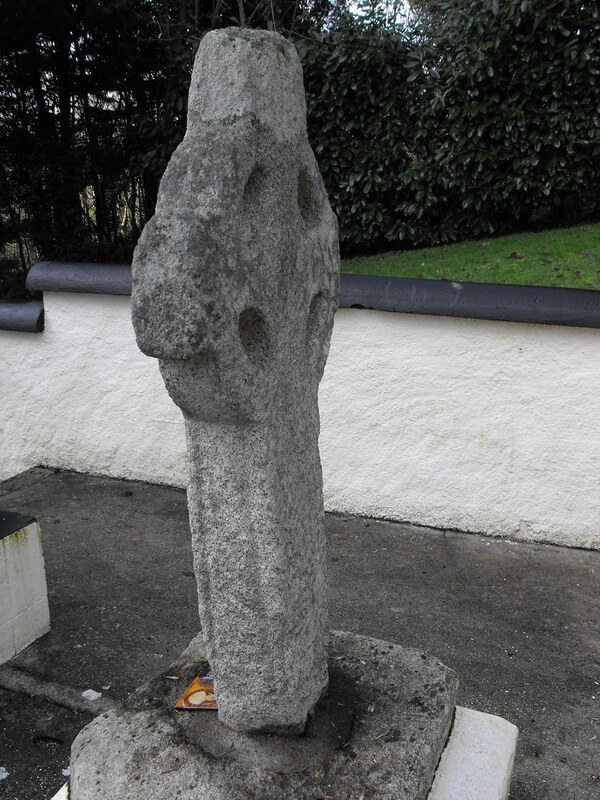 The Standing Stone: Oldleighlin, Holy Well, Cross and Rag Tree, Co. Carlow. Oldleighlin, Holy Well, Cross and Rag Tree, Co. Carlow. 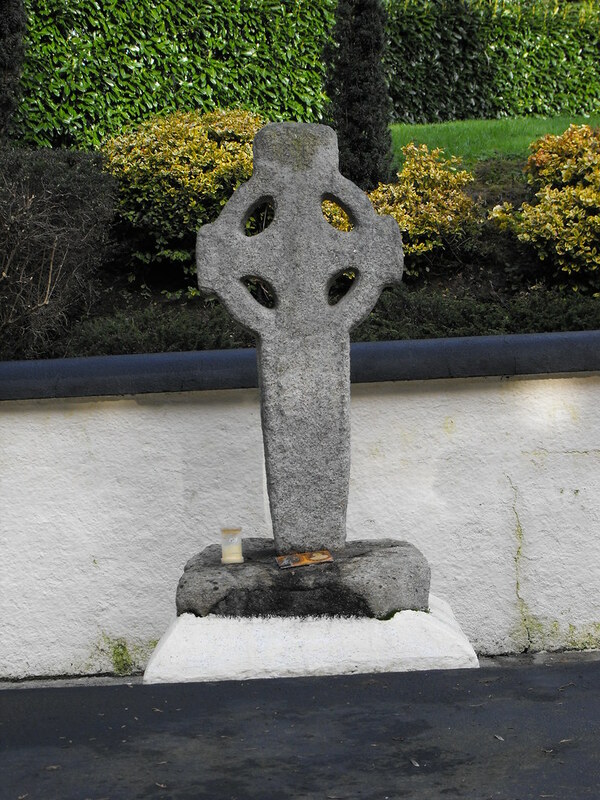 Location – W of Oldleighlin Cathedral and easy to find. There is a car park for the well which has recycling bins in it. Description and History – It’s very hard to say something entirely positive about this site as I found it somewhat unpleasant. It is common for holy wells to have a modern enclosure and this is something that I have never really liked. 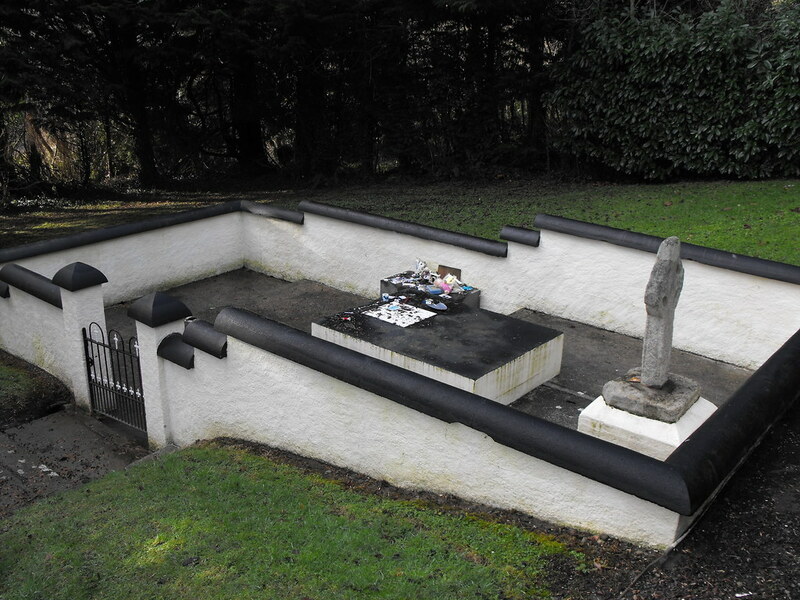 The modern enclosures remove any of the mystery and ‘specialness’ of the well that made it sacred to Ireland’s Christians and, more often than not, pre-Christian pagans. Rather we get a concrete mess. Many are done very tastefully in my opinion but this one is not one of those. 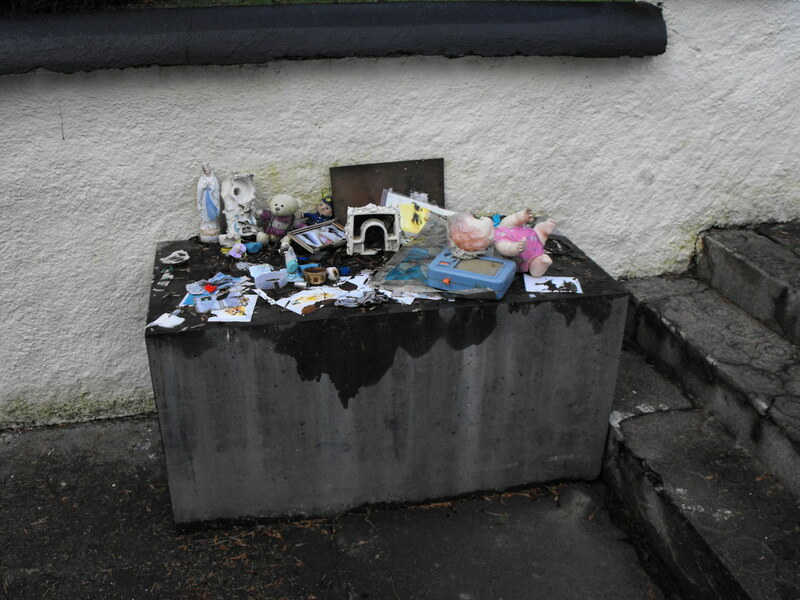 The main problem at this site is the objects left at the site. While I have no problem with this and expect it at wells, they have been somewhat scattered at the site and you find yourself tip-toeing around bits and pieces that people have left. The site is also a victim of vandalism with pictures of saints and Popes defaced. 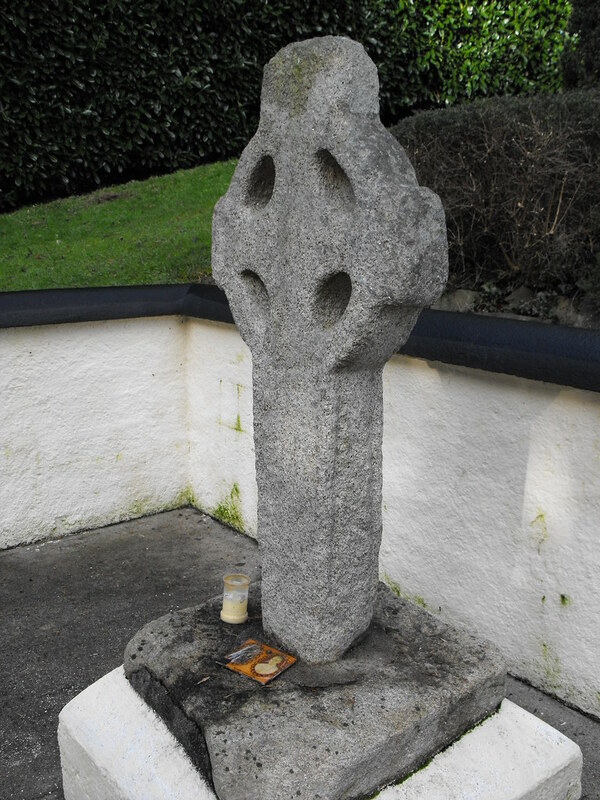 The well is encased in a modern enclosure which also includes an early Christian wheeled cross that shows some signs of decoration and the edges have been clearly worked. 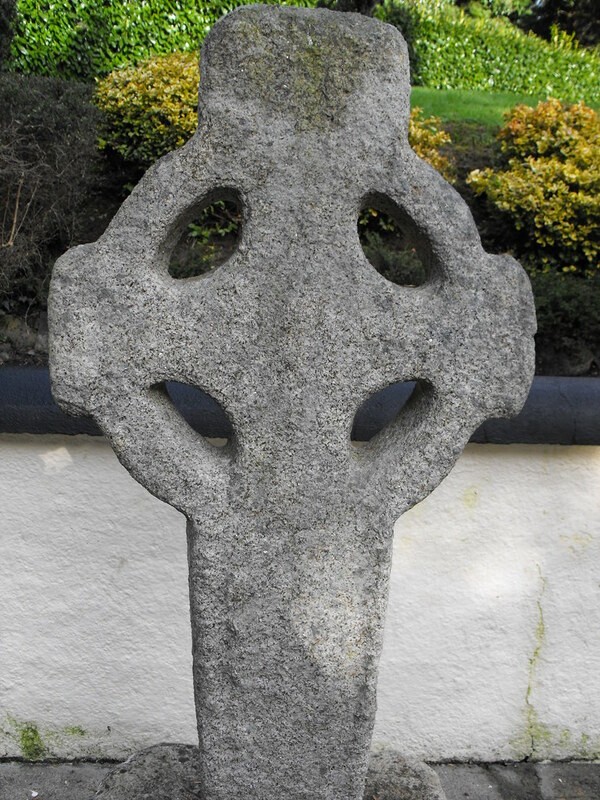 The cross is the centre-piece, so to speak, of the well enclosure. 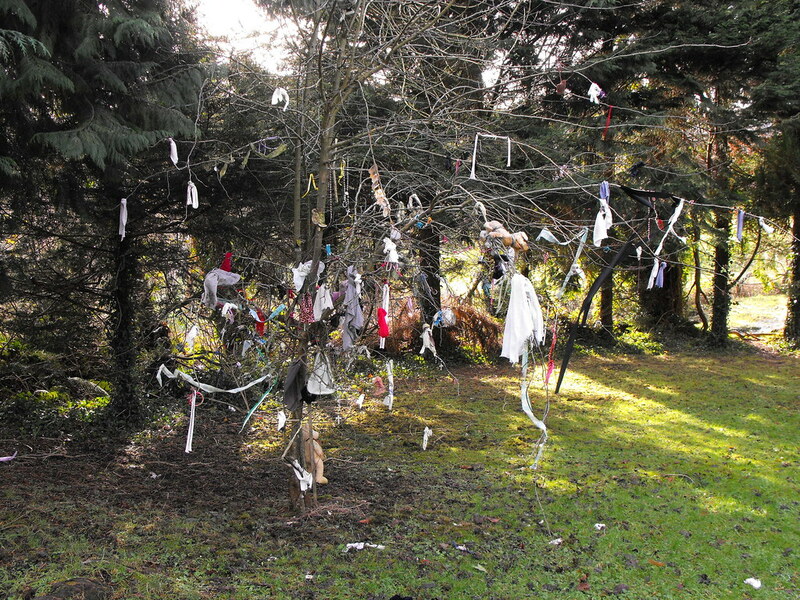 A rag tree is located just to the side of the well outside of the enclosure. The whole site is dedicated to St. Molaise. After the nearby Cathedral, this site is a let-down. Difficulty – Easy to find and to get to. Watch your step. Some of the many objects left at the site. Note the signs of decoration on the shaft. The edge have clearly been moulded. The moulding on the shaft can be seen more clearly here.